A year on from the devastating flood in the Tweed catchment and six months since its relocation from the now derelict former Murwillumbah Visitors Centre, the mighty Panorama painting is still impressing visitors. Fitting perfectly around the walls of the function room above the Courthouse Hotel in Main Street it offers a spectacular interpreted view from the summit of Wollumbin Mt Warning, as well as being a great location as a meeting room. ​Visitors who had experienced the Panorama in its previous location have commented on how even more realistic it looks in its new home. Open 10am - 4pm (closed Mondays and Tuesdays). Entrance adjacent to the Court House Hotel, 60 Main St., Murwillumbah. Tweed Landcare Inc (TLI) have taken up the offer to hold their monthly meetings in the Panorama room, which can comfortably host, and cater for up to 35 people. The room is available at no charge. Recently, Tweed Landcare hosted Tweed Byron Local Aboriginal Land Council representatives Maurice Gannon and Warren Phillips who conducted a seminar in the Panorama Room to inform TLI group coordinators, bush regeneraters and project managers how they can incorporate aspects of the Tweed's Aboriginal Cultural Heritage Management Plan into their work site activities and planning for future projects. Conveniently located next to the Green Cauldron Panorama above the Court House Hotel, this new gallery space showcases artworks depicting the natural and social history of the Tweed region with an emphasis on interpreting its landscape and biodiversity values. Gallery founder Andy Reimanis has also established a working studio space and conducts regular art classes (Saturday mornings) and a range of locally produced cards and books for sale. A highlight of the gallery is his massive interpretive painting of the active Tweed shield volcano. ​The gallery is open the same days/times as the Panorama. ​As part of the forthcoming MAT18 (18th - 27th May), Caldera Wildscapes Gallery will not only be 'on the trail', but will also host a workshop conducted by resident tutor Andy Reimanis. He has recently discovered an often overlooked art medium and is seeking to share the joys of using Sennelier Oil Pastels. natural history of the Tweed region. Learn more about how our landscape has been, and is being, shaped by the forces of nature going back to the epoch of the shield volcano. ​Some of the superb images featured on the new series of greeting cards include those taken by a hi-res camera mounted on a drone controlled by Civil Aviation Safety Authority registered operator Mark Brombal. A new Caldera Wildscapes project involves capturing spectacular images and footage of the Tweed River and its catchments for the eventual production of a cinematic quality film and photo-book. Furthermore, a series of paintings by Andy Reimanis depicting aspects of the social and natural history of the Tweed River is in the making. 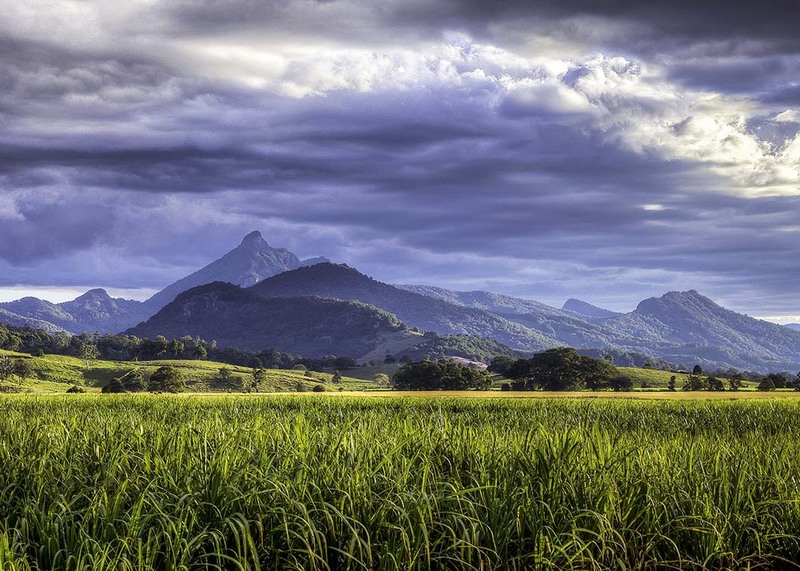 A series of special panoramic cards of selected aerial images are also available from the Murwillumbah Newsagency and Caldera Wildscapes Gallery.